2017 has been a eventful year for anime, but there was perhaps no bigger surprise in the often-unpredictable industry than this season’s Pingu in the City. Animated by Polygon Pictures, Pingu in the City is an adaptation of a famous Swiss cartoon made in the 1980’s. The show has surprisingly surged to become one of the highest-rated anime on the popular media site MyAnimeList and became one of the most popular anime ever. Recent forecasts show that Pingu in the City is expected to surpass Makoto Shinkai’s blockbuster Kimi no Na Wa in total sales sometime in next few weeks. Not even long-standing Pingu fans could have expected this level of success, and many are worried about the changes a new anime adaptation brings to the fandom. “The original series was soothing slice of life experience. I was afraid setting the new show in a city would make series more hectic and switch the focus away from the daily life,” Jason Ferry, a self-proclaimed “Pingutaku” since 1986, tells Anime Maru. Officials at Polygon Pictures state they are “pleasantly surprised” by the unexpected financial success, and are desperately trying to keep up with the millions of Blu-Ray disc pre-orders that have been flowing in. 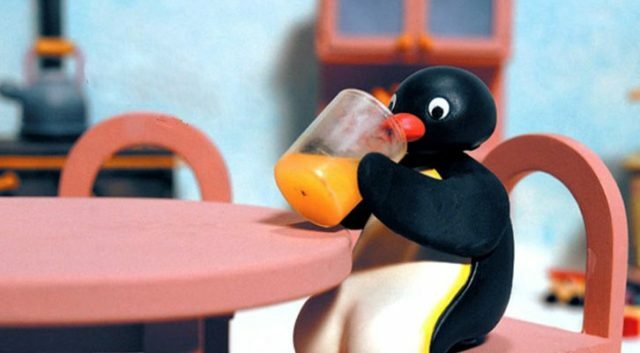 Other fans have stated that they are worried that the new studio will not do justice to the deep Pingu lore. Joshua states that he will most likely wait for the official dub, as he is not satisfied with the Japanese voice actors’ vocal range of penguin honks. At press time, a Hollywood live action adaptation of Pingu in the City has been greenlit, directed by J. J. Abrams.